Microsoft and Facebook are joining forces to build a state-of-the-art undersea data cable that’ll stretch across the Atlantic Ocean. In a joint press release, the companies said the cable will help meet the growing customer demand for high-speed, reliable connections for cloud and online services for the two companies and their customers. 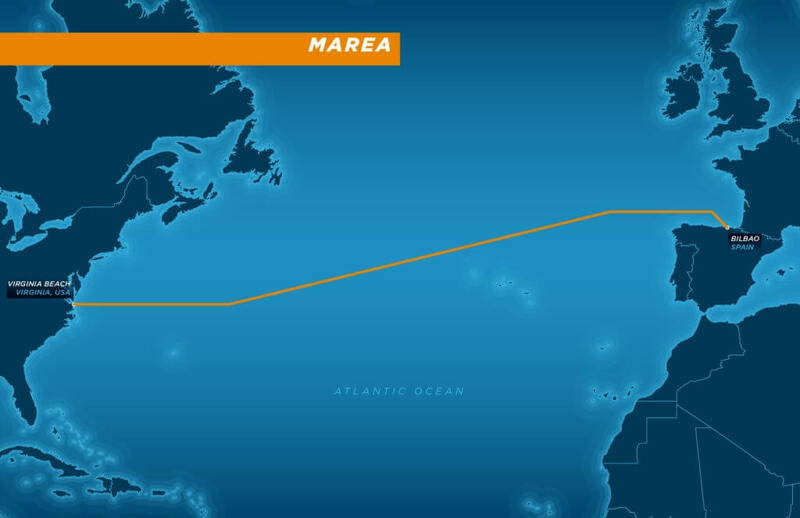 The project, dubbed MAREA, will be the highest-capacity undersea cable to ever cross the Atlantic with eight fiber pairs and an initial estimated design capacity of 160Tbps. The 6,600 km (roughly 4,100 mile) cable system will be operated by Telefónica's new telecommunications infrastructure company, Telxius. As ZDNet points out, another motivating factor for laying and operating their own transatlantic cable system may have to do with the NSA. As part of the Edward Snowden leak a few years ago, we learned of an NSA program called Muscular that was able to tap into links between the data centers of major companies like Google and Yahoo. It’s unclear if their own transatlantic cable system would be able to prevent snooping from government agencies or if said agencies would simply look to intercept data at another point in the loop. Construction of the cable is set to begin this August and, if everything goes according to plan, should wrap up by October 2017. Neither party said how much money is be invested into the project although I imagine it’s a significant amount.